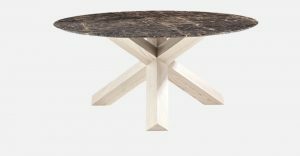 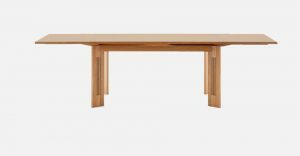 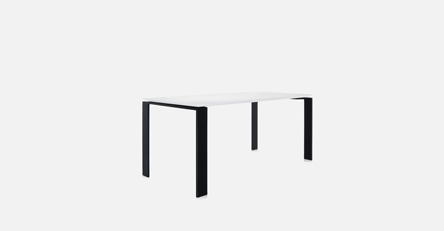 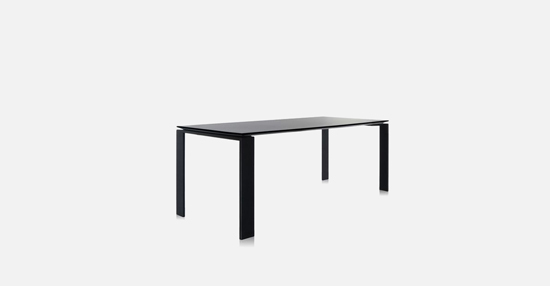 This functional and refined table also has a strict geometric design. 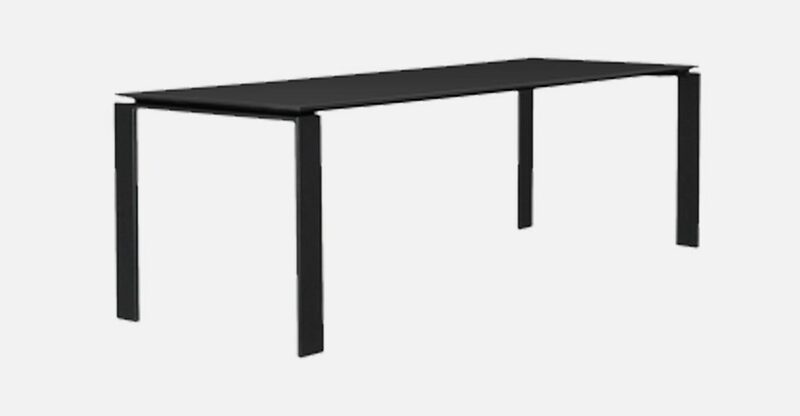 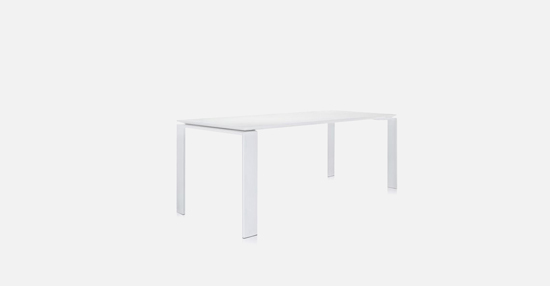 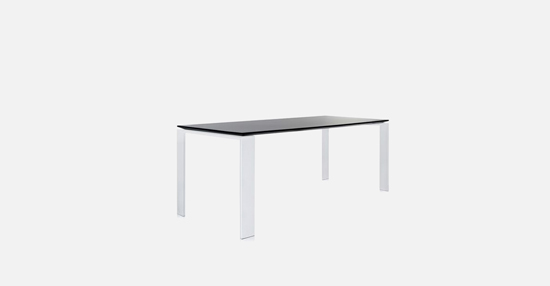 Thanks to the elegant design solution, the position of the slim table top allows for the convenient positioning of drawers or storage furnishings for computer hardware. 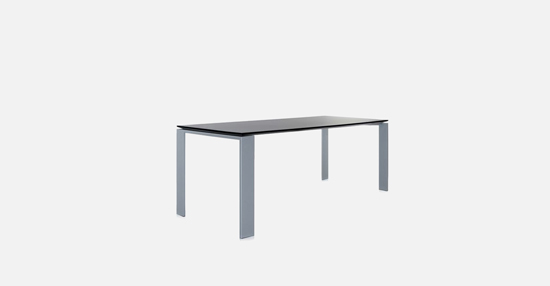 They can be placed side-by-side to form office workstations. 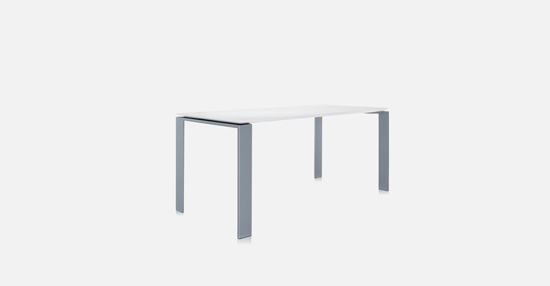 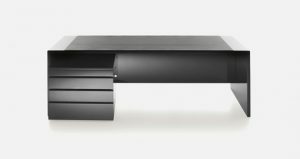 Four is available with a painted steel body and a 2.5 cm thick table top in stratified laminate.